Why draw on white paper when you can have the richer look of Classic Ecru? The black hard cover is wire bound. Each sketchbook contains 70 lb (104 gsm) paper. 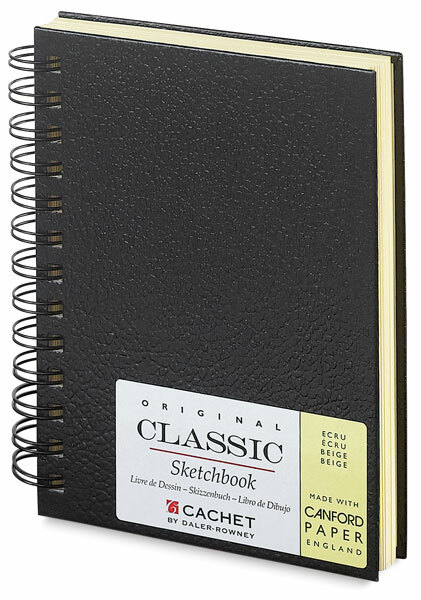 Wirebound Sketchbook, 5" × 7"
® Cachet is a registered trademark.® Cachet Classic is a registered trademark.